We had great weather last week with light winds and slack tides. 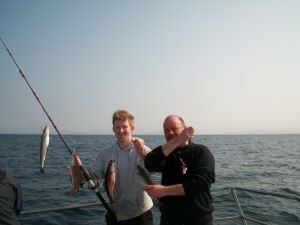 We set off from Dingle as usual with a mixed crew of fishermen, some experienced & some learners. The morning was blowing about F4 but by afternoon the wind had died to a F2. The day started poor, no fish. We travelled to a few favourite spots, still nothing. So we decided to steam around exploring the deeper waters. The new Furuno FCV digital sounder/fishfinder did the business within 1 hour we were on a good mark hard on the bottom at about 76 metres. All of a sudden fish were coming aboard mostly good size, 3kg, Pollack at first. 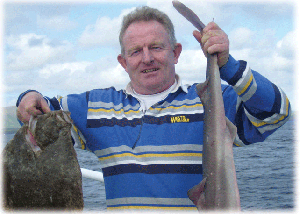 One of the experienced guys had his own rigs, 100cm Muppets now we were getting good Codling up to 3 kg. 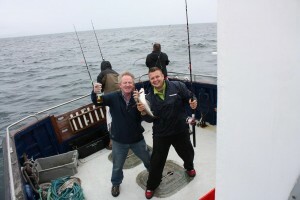 Soon everyone was getting good fish, It was smiles all round. 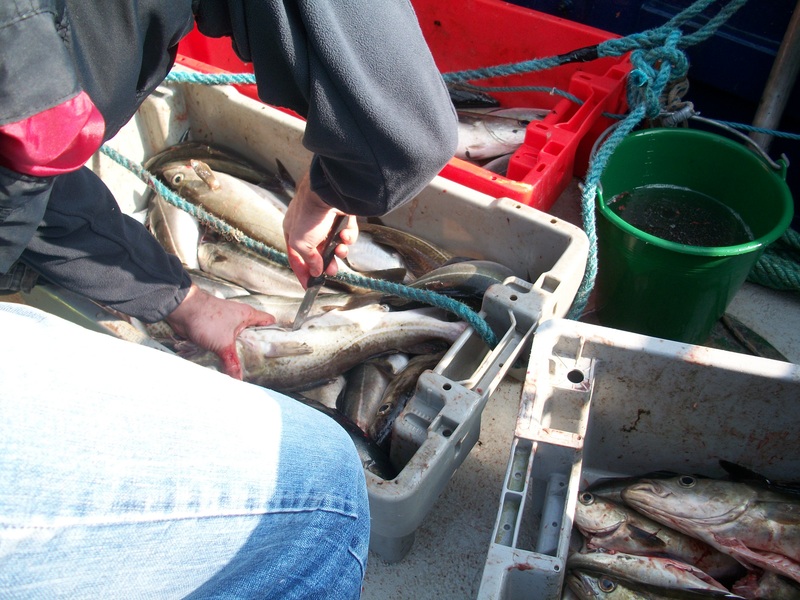 Towards the end of the days fishing we came across a large shoal of small Coley we fished them for a while but soon steamed for the pier at Dingle. The days catch was about 150kgs total 100 Pollack 50 kg of Cod. Another great day out.